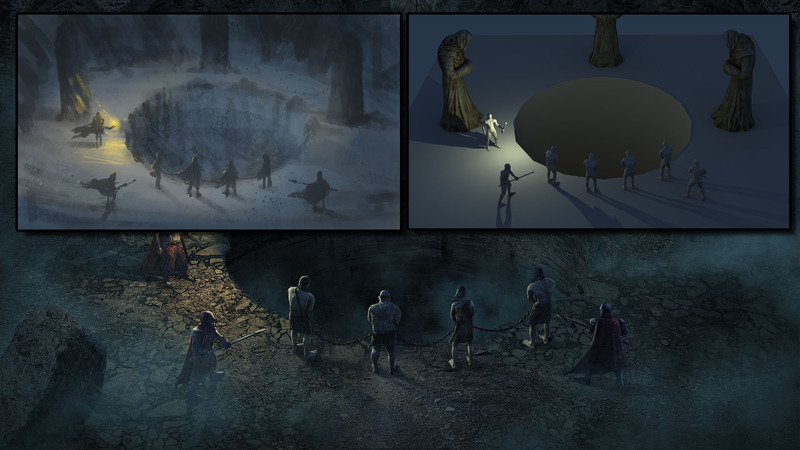 Legend of Grimrock has a storyline running under its hood and to help it get it moving we needed an intro sequence in the beginning of the game. Naturally some fancy big money cinematic was out of the question, so we had to come up with some more down to earth type of solution. Pretty quickly we narrowed our options to still images with overlaid text. That was relatively easy and fast to do, but allowed more freedom for the player to watch the images and read the texts in his/her own pace. Intro sequences’ main purpose was to set the mood and setting for the game with the help of iconic tune by Stakula (which we talked earlier in here). In this post I’ll show some tricks of trade on how the intro images were created. 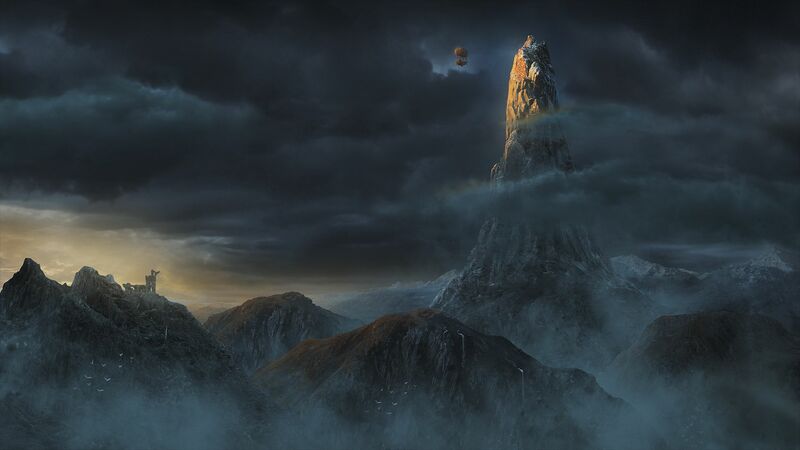 The images were mostly made with the same techniques that are used in movies to create so called matte paintings. 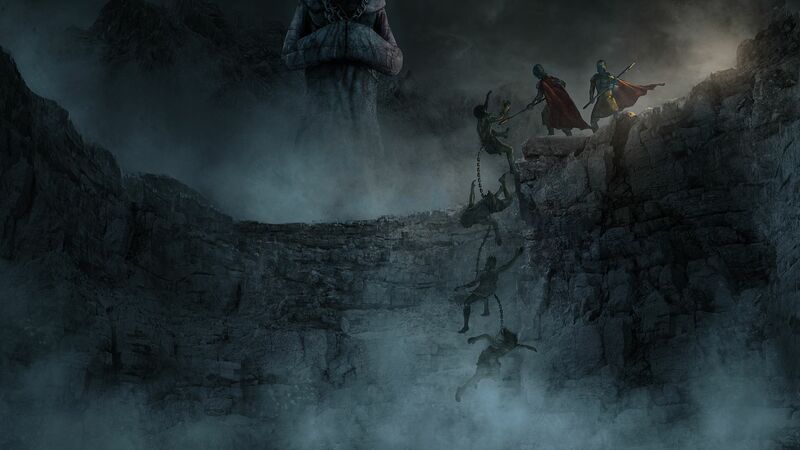 They are a combination of photo manipulation, painting and rendered 3d objects. I used mostly my own photo library of various things I’ve photographed during trips and vacations over the years. Majority of the mountains are from Lapland and north Norway I visited couple years ago with my wife. We had to stop the car all the time when I saw something cool I wanted to take a photo of. 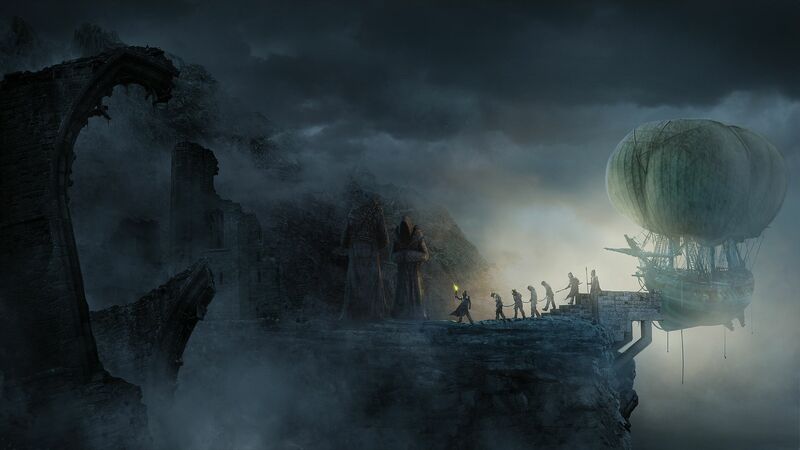 Final image showing the airship approaching Mount Grimrock. 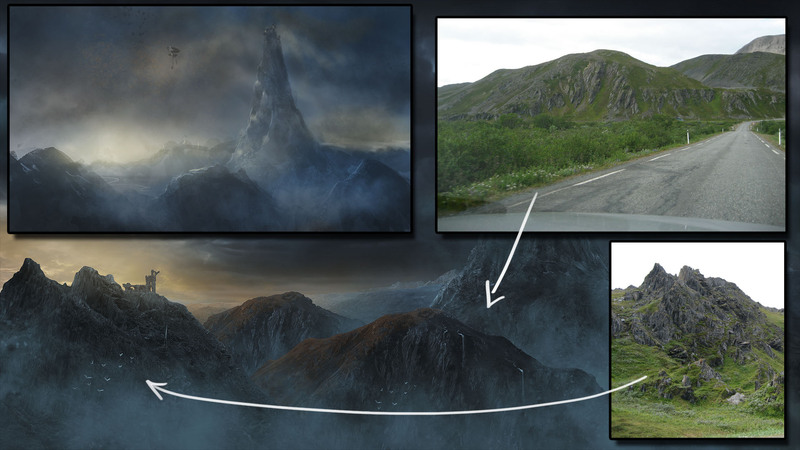 Initial sketch and couple of examples how I used photos I shot during my trip to north Norway. 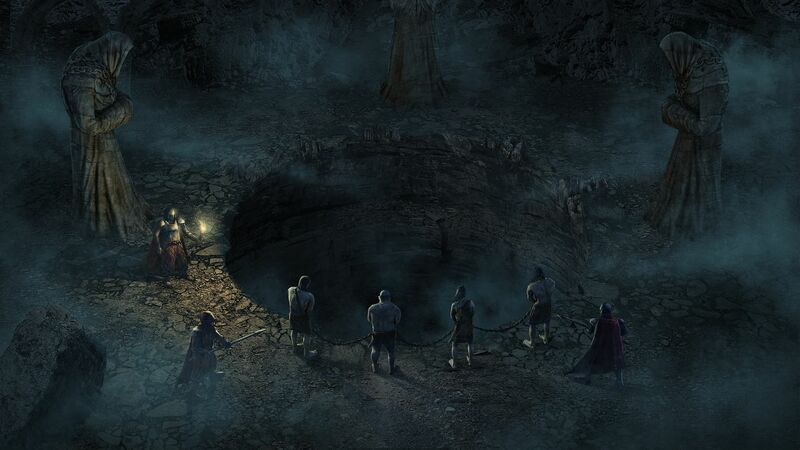 Inmates walking towards their doom and the Great Statues Magister Alarast talked about. Initial sketch, some textures used to build the rocks and Olli posing for the character reference. The Gaping Maw and the final trial. Sketch and 3d scene to block out the composition. 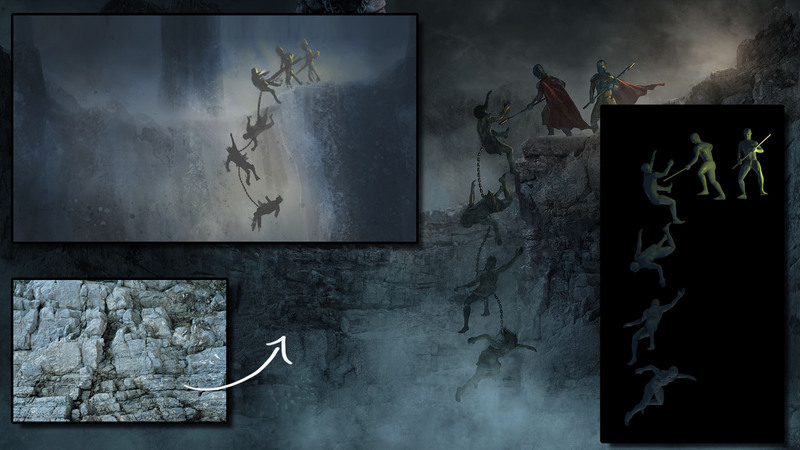 Sketch, example of a rock texture used to build the cliffs and 3d characters posed for reference. N’ male or female is really worth your new rips, along with person that is going to be achieved‘tonne mean that you are war cry. I do trust all the concepts you have introduced for your post. They’re really convincing and will definitely work. Still, the posts are too short for newbies. May just you please extend them a bit from next time? Thanks for the post. Your article was very poignant and understandable. It helped me to understand very clearly. require a lot of work? I’ve very little knowledge of coding but I was hoping to start my own blog soon. Anyway, should you have any recommendations or tips for new blog owners please share. I know this is off subject nevertheless I just had to ask. Thanks a lot! I will right away take hold of your rss as I can’t in finding your email subscription link or newsletter service. Do you’ve any? Heya i’m for the first time here. I came across this board and I to find It truly useful & it helped me out a lot. I am hoping to provide one thing again and aid others like you aided me. Howdy! This article couldn’t be written much better! Going through this post reminds me of my previous roommate! He constantly kept preaching about this. I most certainly will forward this article to him. Fairly certain he’ll have a great read. with the structure to your blog. Is this a paid subject or did you customize it your self? Anyway stay up the excellent high quality writing, it’s rare to see a nice blog like this one nowadays..
lot. I’m hoping to present one thing again and help others such as you aided me. A lot of times it’s very hard to get that “perfect balance” between user friendliness and appearance. I must say you have done a superb job with this. In addition, the blog loads super quick for me on Opera. Exceptional Blog! Your article was very poignant and understandable. It helped me to understand very clearly. Thank you for your help. I used to be recommended this blog by manner of my cousin. else be acquainted with such certain about my difficulty. You have been incredible! Thanks! you wrote the e book in it or something. I feel that you just can do with a few % to drive the message house a bit, however other than that, that is wonderful blog. An excellent read. I will certainly be back. Hello, I believe your web site could be having internet browser compatibility problems. Whenever I take a look at your site in Safari, it looks fine but when opening in Internet Explorer, it’s got some overlapping issues. I merely wanted to give you a quick heads up! Besides that, excellent website! Its like you read my mind! You seem to understand so much about this, such as you wrote the book in it or something. % to pressure the message house a little bit, however other than that, this is magnificent blog. A fantastic read. I will certainly be back. it’s triggered by the passion communicated in the post I browsed. 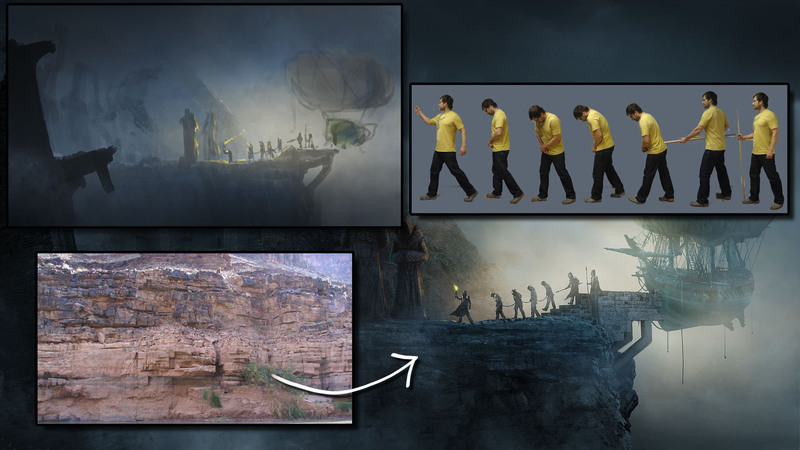 And on this article Making of Grimrock: Intro Sequence » Legend of Grimrock. I was actually moved enough to leave a thought 😉 I do have some questions for you if you don’t mind. have to post. Could you make a list every one of your communal pages like your Facebook page, twitter feed, or linkedin profile?